I’ve noticed that single coil pickups give me worse hum when I’m playing lap style, but can be pretty quiet when I flip the steel 90 degrees, so I’m holding it like an “armpit” guitar. The hum is consistent whether or not I’m touching the strings, and yes, I have a ground wire attached to the bridge. This has kept me from putting some sweet sounding pickups into a steel. It’s not a grounding issue - it seems more like an EMI or RFI problem, but it happens even when I’ve shielded the cavity and pickguard. Have any of you noticed this with your steels? And suggestions? I’m resigned to using hum-cancelling pickups, but I’d love to use a couple of single coils that I already own. Thanks, all. 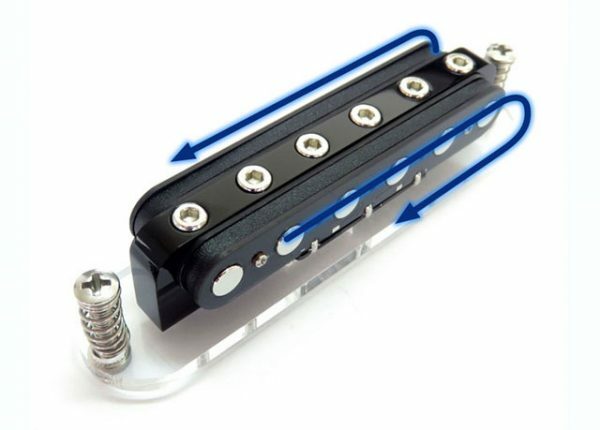 Yup, that's all standard behavior for single-coil pickups. You can either embrace the hum or go with a hum-cancelling pickup. There's also the dummy coil option, but that's not typically feasible with a vintage or expensive instrument. www.OldFrets.com: the obscure side of vintage instruments. Sounds about right.. Some bars/stages/houses are better than others. When it's really bad I just use a volume pedal to turn the steel down when the band stops. "Don't be mad honey, but I bought another one"
Most of the time, the hum is coming from the magnetic field that is generated from the power transformer in your amp. Angle in relationship to the pickups will definitely change the amount of hum. The Electro-Harmonix Hum Debugger pedal works better than anything else I've tried. It doesn't seem to affect the sound adversely in the "Normal" position. The "Strong" position does screw with the signal noticeably though. You might also try setting your amp on its side and playing the steel on your lap in order to put the pickup coil at a right angle to the transformer windings. If that approach is totally bogus hopefully one of our resident experts will tell us why. Hum reduction devices are rarely effective on anything except hum related to wall power - they can't filter stray interference out of the air in the air. They work well if you have a refrigerator, fan or other motorized device on the same circuit breaker. Computer monitors and TV's, radios (does anybody still use one?) any electronics with large transformers, medical equipment and fluorescent lights (usually missed are the bulb-size, twisty "power saver" bulbs - they're terrible) and dimmers. Dimmers are especially bad and should be removed from the same breaker circuit the amp is plugged into (which could be another room). The most common problems not solved by shielding is being too close to (or turned towards) your amp and fluorescent lights - followed by computers/monitors/TV's and then dimmers. I remember one night playing at a bar where I had a Fender Dual Pro with single trap pickups and the steel had to be set up next to a window with a neon bear ad sign in it and the guitar hummed so bad that I had to ride the volume knob at the end of each tune. NOT a humbucking pickup for sure. Have you tried reversing the wires from the pickup coil ?? If it's been apart before, maybe the outside of the winding is the hot/plus leg & not the internal winding of end the coil... This may not always work, but you can try it...Even ceiling fans can cause noise in single coils..
Hmm.. I haven't tried reversing the wires, although the pickup maker gave clear directions on which wire is which. Worth a shot, though. Thanks for the idea, Bill. If you have light dimmers in your house this can be the source... either turn them up or off. Aquarium heaters can be bad too. None of those here, but thanks for the suggestion. Easiest thing to do is use the guitar to find the noise source... move around and see where the worst noise is. I fortunately, it’s not just here at home - other places (band practice room, places we play both indoors and outside, other homes) give the same issue, which clears up when I flip the steel onto its side. Just going to stick with humbuckers or split singles. Thanks. So two years on no complaints from me. This removes the single coil hum but also colours the sound slightly but still sounds good. Head & Hands to Steel your Heart. Interesting, Stefan - might be worth looking into. What Pickup Exactly is on there ? Maker of One of a Kind Works of Art that play music too. Yeah, the horizontal orientation of the pickup on a horizontal steel interferes with the ability of your body to shield from electromagnetic interference. It can be a real problem on console or pedal steel, I don't know any way to fix that by changing orientation in the horizontal plane. I believe this has to do with the fact that pickups are wound in the horizontal plane - interference tends to couple normal to that plane. I guess sitting with a lap steel one might be able to contort a bit and get some shielding, but it's still a problem. I have found the only way to get a large amount of noise reduction is to have the windings pretty much in the vertical plane, and then rotate my body around to find null points. It's possible to reduce the noise a lot like this, but then you're in Spanish guitar playing position. 2. The volume pedal makes a good manual noise gate. - Crank up the pedal and/or preamp gains to overload the power-amp circuit, which is designed not to distort. Either way, I find single-coils tend to buzz a lot more with stuff between the guitar and the amp, especially gainy stuff like extra preamps, overdrives, compressors, and so on. This topic is a general amp and electronics thing, very applicable to any steel played in the horizontal position. PS, hum debuggers, filters, and so on can improve the signal-to-noise ratio, but if used at strong settings can really change the sound. That's an interesting perspective, Dave, that the player's body helps with the shielding (I guess I knew this, but I didn't put it together). I know a lot of people deal with the hum, but it just makes me nuts, so I think I'm going to stick to humbuckers (stacked or side by side) or split singles. Thanks for the help, all. You're correct Dave. There is a lot of EMI (electro-magnetic interference) in the horizontal plane. We call this horizontally polarized. And yes, the human body does absorb a ton of RF and EM radiation. That's why clipping a wireless mic transmitter on your back dramatically reduces its range if the receivers are at the FOH location. One thing that you should try. Balance the line between the pickup and the amp. You can do it with an active circuit with inverted opamps, or simply by using transformers. If you want to get into the pickup itself, you can modify it to output a balanced line. Then, you'll need another matching transformer on the amp end. This way, all common mode interference will be cancelled out, as the hot and cold legs of the line are 180-degrees out of phase. No matter how long the cable is, you'll get no hum or buzz with this kind of setup. I often wonder why more guitar players never did this. One thing to note. The transformers will roll-off certain frequencies. Good wide-banded transformers are expensive. Make sure you test your design so that the sound is not adversely affected. You might even like the sound that the transformers give. Typically, its a warm and vintage kind of sound. Kind of like tubes. Let me know if you need any help designing your circuit. I seem to have quite a bit of hum with my lap steel. When I am playing its not really a problem but when I stop its easily noticeable. Like someone already said, it kinda depends on location, I have noticed it being worse in some places than others, even within my house. Yes, in trying to shield the pickup in my Shobud, having the pickup out of the guitar, when the pickup is orientated on its side like it would be in a guitar as it is played, the hum goes away or diminishes. For this reason, single coils don't like laying down like a cake they want to be on its side. Not sure why this is, maybe it's the way the pickup is wound. It has to be a polarity issue and by this I mean when the pickup is positioned on its side, not a (+) (-) issue. If a pickup designer could take this into account for single coils laying on their backs as in a PSG, then the problem may be solved. Most know that with single coils, you move around until you find a position until the hum goes away. You can't do that with a steel. That might mean winding a single coil pickup on its side to to be played laying down in a steel guitar. The EH HumDebugger is an essential piece of my gear. It does introduce a slightly phase-like element once in a while on certain notes, but it is infinitely preferable to the hum you can get in certain locations. A side note, I played a venue called the Haw River Ballroom here in North Carolina recently and experienced the absolute quietest, hum free performance from my equipment ever and simply improved tonal quality. I remarked to one of the house techs about it and he said that was the response they got from all the bands. He said they spent a great deal on clean power and complete isolation from the lighting and any sources of interference. I certainly appreciated their investment.